Discount, is what none of them left from looking for, no one is exceptional while any purchase. We had come across many discounts and especially for cars; here is incredible discount ever that surpasses all other carmaker. Earlier it is Honda India also did a whopping Rs 1.7 Lakh cut down in the price of its hatchback, Honda Jazz. Moreover, it also reduced the price of Honda city by Rs 66,000. Another example is Audi, even Audi slashed the prices of Audi A6 sedan by Rs 3 Lakh. But here is one cash discount ever surpasses all others. Obviously all carmakers are offering discounts on models that are not selling at expected levels. Volkswagen Phaeton luxury sedan which was launched in January 2010 in India, however it is a pretty well-known fact that Volkswagen Phaeton luxury sedan has been facing a low phase sales in the country. Currently, Volkswagen Phaeton price is over Rs 75 Lakh and gives a very tough competition to, BMW 7-Series, Mercedes-Benz S-Class and the Audi A8. The Phaeton has never been able to match its competitors and has been a sales failure all over the globe. In the past 18 months, hardly 53 units of Volkswagen Phaeton have been sold in India. Because of the lukewarm sales, internationally the Volkswagen Phaeton industrial unit, which was launched in the year of 2002, has been able to operate only at 1/3rd of its entire capacity of around 20,000 units every year. The company managed to sell just 53 Phaetons since its launch in India. It’s not only Volkswagen India that has been facing such slower sales, but other car manufactures are also going through a bad sales chapter. 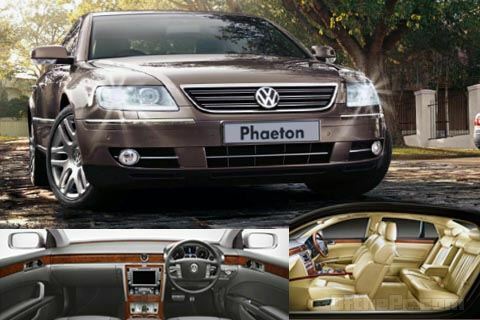 Phaeton luxury sedan is priced at Rs.77 lakhs in India, Volkswagen India is offering the consumers a highest discount of Rs 25 Lakh on its luxury sedan, Volkswagen Phaeton. This could be probably the biggest discount that any car manufacturer can offer. And this discount offer will mean buyers of this luxury sedan will have to pay around Rs.52 lakhs to get their car on their drive way. The basic reason behind offering such a gigantic discount is to amplify the sales of Volkswagen Phaeton as this luxury car is going through a down phase since past few months.